Hi! 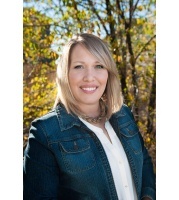 My name is Jennifer and I am a Realtor in Mountain Home, Idaho. My family and I arrived in Idaho through the military and we have come to love this town. I am dedicated to my job and absolutely love what I do! As a Realtor I represent my clients from beginning to end with a strict code of honesty, integrity and kindness. I would love to help you with your real estate transaction.